달려~ I'mma start with the Betrayers' Club because I find them the most adorable *teehee*. No, this isn't some exclusive club where all the members are elite and prestigious people. No, in fact, one has to be the complete opposite in order to be dumped unceremoniously into this club. By being one of the weakest and most unreliable was how Impala, Girin and Haroro find themselves the sole members of this cloud-cast club. Bae (배). Shin (신). Ja (자). Cross! shamelessly rips her nametag off during time-out. he has the Golden Sword in his possession. The weakest one, though this is a spot occasionally contended by the almost equally weak Girrafe. Has a talent for composing random songs. He is well-known for being the "race-starter". You know game just got serious the moment you hear "Ji Sukjin, out. Ji Sukjin, out." A pint-sized childish penguin that likes to create havoc wherever he goes. Affectionately called "nae dongsaeng" (my younger brother) by Sparta Kook. Likes to rely on "uri hyung" (my older brother) for his wit and strength, yet will still betray the Tiger at any chance he gets (dedicates his life to influencing others to vote Jongkook out at every voting game). Resembles James Cameron's blue avatars. 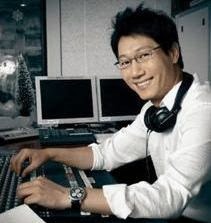 The ultimate icon of betrayal in Running Man. Has a tendency to imagine himself in a love-line with the show's beautiful female guests. Unfortunately for him, his love is often rejected. Fortunately for him, he is well-loved in other Asian countries outside of Korea, especially in SEA (so he should marry a Southeast Asian is what I'm saying, ehem). Screw it, their betrayal gene's too strong.